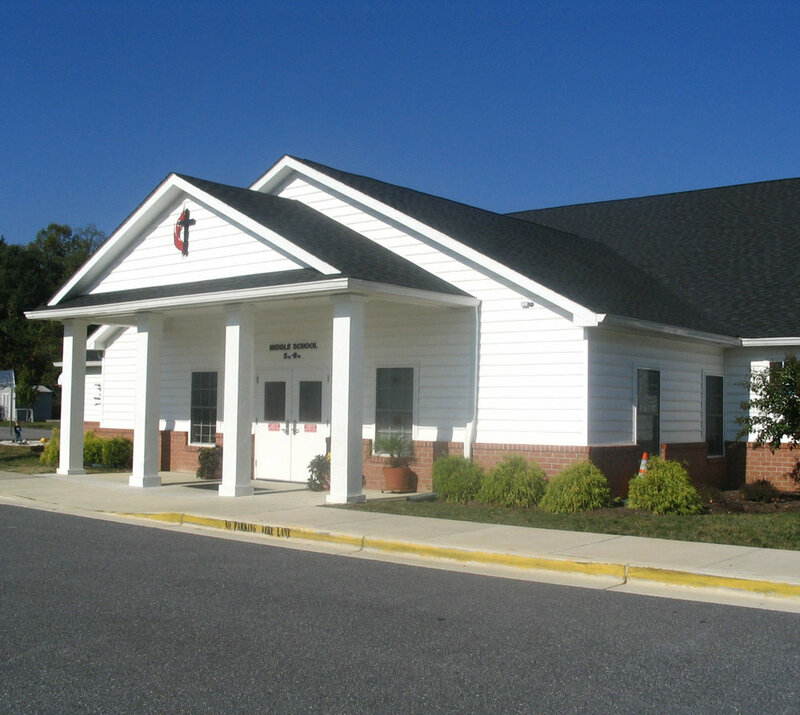 St. Andrew’s United Methodist Middle School in Edgewater, Maryland is a 10,000 square foot building for 6th, 7th and 8th graders, as an addition to a larger campus. 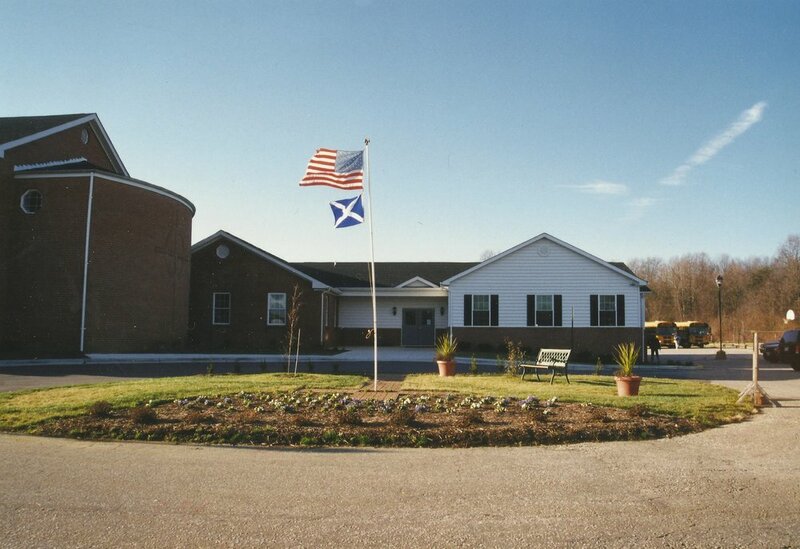 The school was laid out in a cruciform pattern with eight classrooms and administrative offices lining the hallways. The library is placed in the center of the building where the corridors cross, with a skylight and glass walls to bring daylight into the middle of the building.